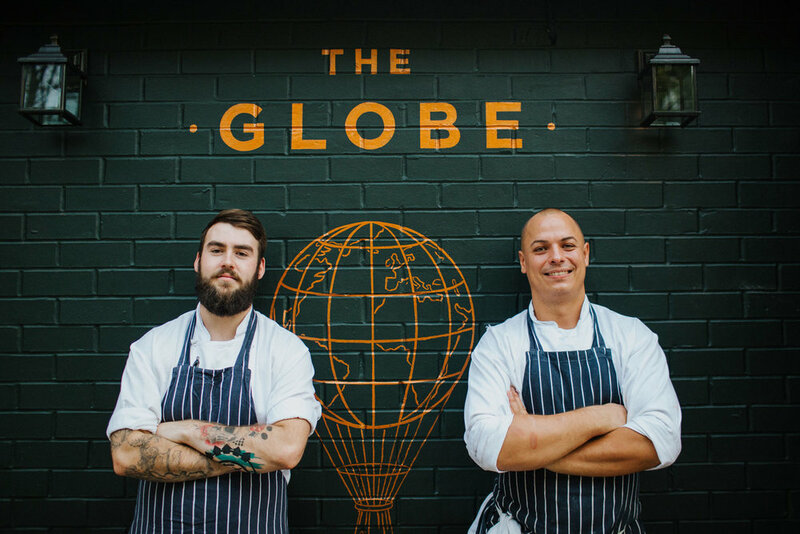 The Globe, in the heart of Warwick, is a warm and friendly pub, restaurant and hotel, serving great food and drinks daily from 8am. With 16 beautiful boutique hotel rooms it is the perfect place to stay when exploring this historic town. First opened in 1788 as the Globe Inn Commercial & Posting House, The Globe in Warwick is situated on the corner of Theatre Street, between Warwick Castle and Market Place. In the early 1800s, this Grade II listed building became a theatre hosting pantomimes and plays, and until the 1960s was accessible via an iron bridge spanning a ravine-like street named The Holloway. 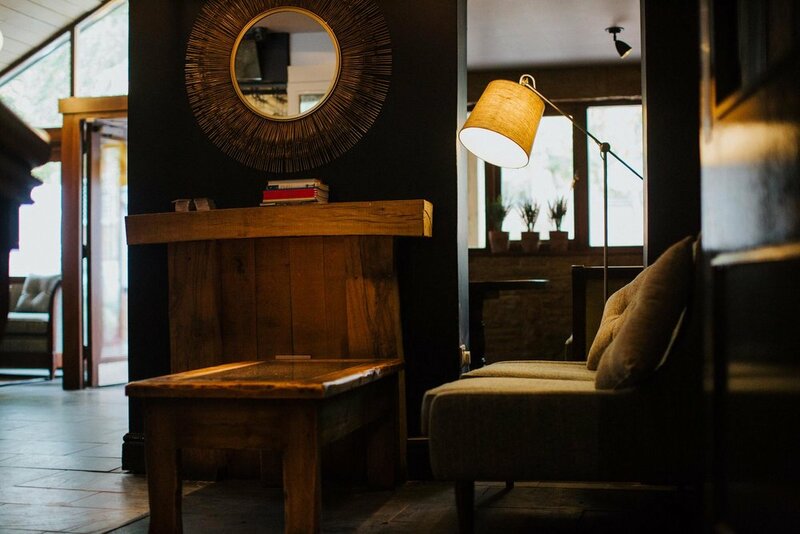 Following a refurbishment in autumn 2018, today, we are a destination venue with an extensive bar and lounge area, 87-seat restaurant, and 18 boutique-style hotel rooms. Open all day from 7am Monday to Friday, and 8am on Saturday and Sunday, we serve a Mediterranean-inspired menu made using British meats and poultry, free-range eggs, responsibly sourced fish, and seasonal fruit and vegetables. Our extensive wine list has been compiled with guidance from Enotria&Coe, a company with 125 years’ experience in pairing food with wine, while our beers are selected from a local brewery and sit alongside our range from Fuller’s. 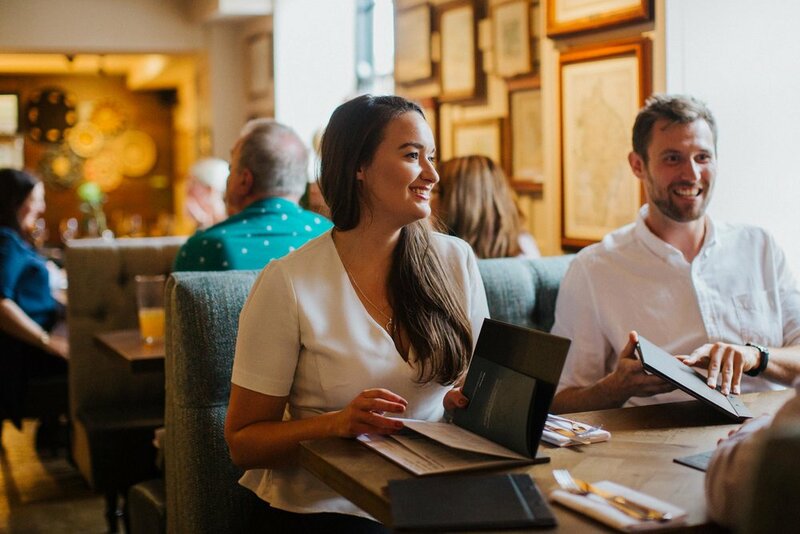 Many of our dishes are cooked over charcoal in our Josper grill, and our bespoke children’s menu with accompanying activity pack goes beyond the standard fare. With its comfortable seating options and floor-to-ceiling windows, our light-filled bar and adjoining patio serve a variety of cocktails and spirits, as well as Rainforest Alliance certified coffee, teas, and tempting hot chocolate from Callebaut. For a longer stay, our en-suite bedrooms provide a stylish blend of hotel luxury and home comforts.